Benedict’s solution is used to test for simple sugars such as glucose. It is a clear blue solution which is a combination of copper sulfate, sodium citrate, and sodium carbonate. In the presence of simple sugars, the blue solution changes color to green, yellow, and brick-red, depending on the amount of sugar. Sugar Test – Benedict’s solution Mix small amount of each food sample with distilled water to make a test liquid. To a test tube, add 40 drops of liquid to be tested. If testing more than one liquid, label each test tube with a marker. 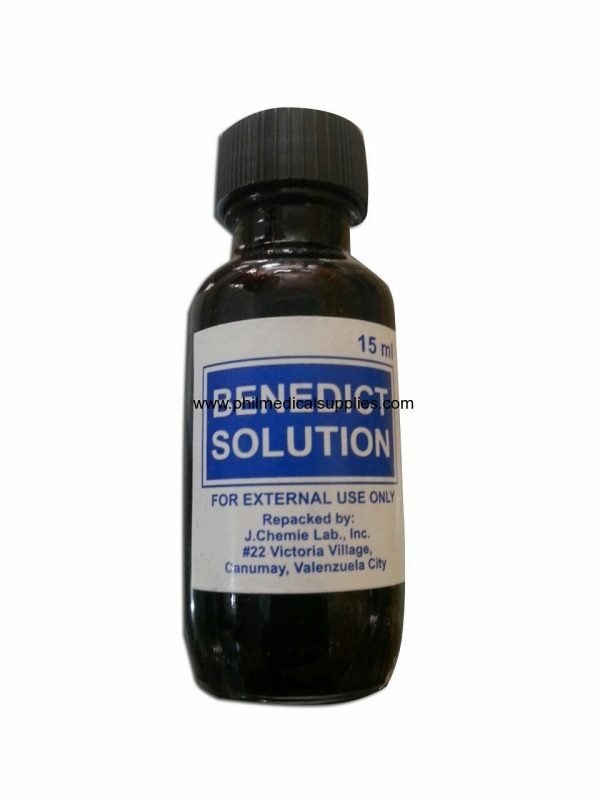 Add 10 drops of Benedict’s solution to each test tube. Carefully heat the test tubes by suspending in a hot water bath at about 40-50 degrees celsius for five minutes. Note any color change. If sugar is present solution will turn green, yellow, or brick-red, depending on sugar concentration.